Howard and Abby Milstein are focused on bridging the gap between research and clinical practice. To that end, they have focused on cancer, skin cancers, infectious diseases and blood diseases. 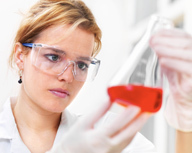 A core interest in biomedicine, biochemistry and nanotechnology runs throughout their medical undertakings.